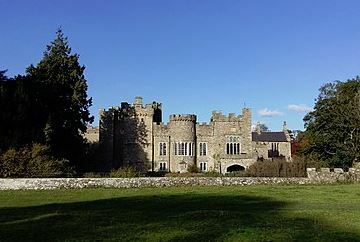 1) (Baron Wallace, extinct 1844; Thomas Wallace, Esq., of Asholme, co. Northumberland, descended from Thomas Wallace, who purchased that place 1637, was so created 1828, d.s.p.). Gu. a lion ramp. ar. within a bordure compony of the second and az. Crest—Out of a ducal coronet or, an ostrich’s head and neck ppr. holding a horseshoe in the beak. Supporters—Dexter, a lion per bend dovetailed sinister sa. and or, murally crowned and charged on the shoulder with a cross flory gold; sinister, an antelope ppr. ducally gorged and chained, and charged on the shoulder as the dexter. 2) (Craigie, co. Ayr, bart., 1659). Quarterly, 1st and 4th, gu. a lion ramp, ar., for Wallace; 2nd and 3rd, gu. a fess chequy ar. and az., for Lindsay. Supporters—Two savages ppr. Motto—Sperandum est. 3) (Ingleston, Scotland). Quarterly, as the last, with a mullet ar. in the centre of the quarters. Crest—An ostrich in full flight ppr. Motto—Sperandum est. 4) (Neilstonside, afterwards Kelly, co. Renfrew). Quarterly, as Craigie, within a bordure ar. Crest—A dexter arm vambraced brandishing a sword ppr. Motto—Pro libertate. 5) (Helmston, co. Ayr). Quarterly, as Craigie, with a mullet or, in the centre of the quarters. Crest—An ostrich holding in his beak a horseshoe ppr. Motto—Sperandum est. 6) (Paterson-Wallace, Edinburgh, 1824). Quarterly, 1st and 4th, counterquartered, as the last, for Wallace; 2nd and 3rd, ar. three pelicans feeding their young ppr. in nests vert, for Paterson. Crest, as the last. Mottoes—Sperandum est; and, Je meurs pour ceux que j’aime. 7) (Provost of Arbroath, Scotland, 1672). Quarterly, 1st and 4th, or, a lion ramp. betw. two mullets in fess az. ; 2nd and 3rd, gu. a fess chequy ar. and az. 8) (Ellerslie, co. Renfrew, 17th century). Gu. a lion ramp. ar. within a bordure compony of the last and az. 9) (Lochwood, co. Lanark, 1874). Per pale az. and gu. a lion ramp. ar. holding in his dexter paw a fleur-de-lis or. Crest—A horseshoe sa. Motto—Spe et industria. 10) (Bergen). Quarterly, 1st and 4th, gn. a lion ramp. ar. in the dexter chief a mullet of the second; 2nd and 3rd, gu. a fess chequy ar. and az. all within a bordure engr. or. Crest—An ostrich ppr. holding in the beak a horseshoe az. Motto—Sperandum est. 11) Gu. a lion ramp. ar. dehruised by a fess voided sa. Crest—A lion’s head ppr. collared ar. 12) Paly wavy of eight ar. and az. over all ten martlets or, four, three, two, and one. Crest—On a rock a martlet or, collared and lined, at the end of the line a ring. 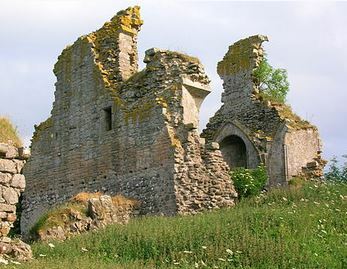 13) (Asholme, Knaresdale, and Featherstone Castle, co. Northumberland). Gu. a lion ramp, in chief two crosses patonce ar. all within a border invected compony erm. and az. Crest—Out of a crown vallery or, an ostrich’s head ar. with a horseshoe in the beak sa. Motto—Sperandum est. 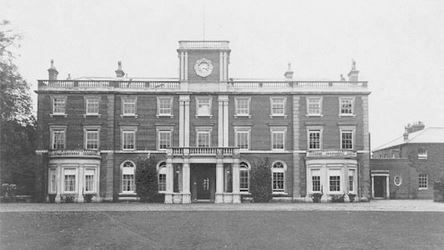 14) (Sudbourne Hall, co. Suffolk, bart. 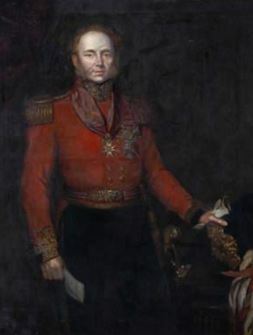 ; Sir Richard Wallace, M.P. for Lisbum, was created a bart. 1871). Gu. on a pile betw. two ostrich heads erased ar. each holding a horseshoe in the beak or, a lion ramp. of the field. Crest—In front of fern vert an ostrich’s head erased ar. holding in the beak a horseshoe or. Motto—Esperance. This surname is a local one meaning “the Welsh”, or someone who came from Wales. In his book, A Dictionary of English and Welsh Surnames, Charles Wareing Bardsley, he groups Wallace, Wallis, Walsh, Welch, and Welsh as the same group of surnames. It is a popular name among people of Scottish ancestry. In his book, An Etymological Dictionary of Family and Christian Names,Willia Arthur wrote “The same as Wales or Welch, and formed thus Gaulish, Wallish, Wallis, and also Welsh or Welch, a name given to the Britons by their Danish and Angles invaders, because they originally came from Gaul”. One author notes the surname comes from the Germanic cognate of Old English wealh, meaning foreign. The name derives from Strathclyde-Briton ancestry. Another author states the surname has a distinct origin that is different from that of Walleys and Wallis in England and claims it derived from a very old personal name: Galgacus, a Caledonian chief, was identified by Baxter with Gwallog, a British name. Early people recorded as bearing this surname include Henry le Waleis (Wiltshire), Roger le Waleis (Oxford), Adam le Waleys (Oxford), Iggelram le Waleys (Wiltshire), andWiliam le Wales (Sussex), who were recorded in the Hundred Rolls of 1273 AD. Howell le Walsshe and Mabil le Walleys were in the Placitorum in Dom. Cap. Westminster. John le Waleis and Ingleram le Waleys were found in Calendarium Inquisitionum Post Mortem. Richard Walays, Roger Walsche, William Wallays, and Alicia Walas were also recorded in the Poll Tax of Yorkshire in 1379 AD. Another author notes the foreign equivalents are Valir (Norse) and Valas or Wealas (Anglo-Saxon), which mean foreigners or strangers. The Flemish is Wallays, which was a place name. There was a surge of Anglo-Normans into Scotland during the reign of King David I. 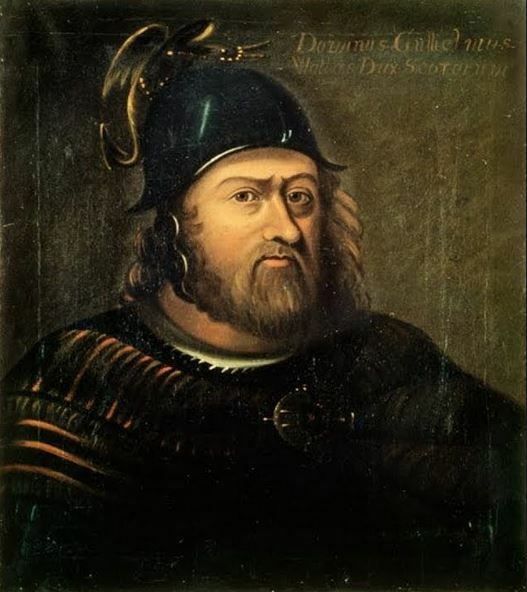 Among these was Richard Waleys, the ancestor of the great William Wallace. He has left his name at Richardtun in Ayrshire. Valers is listed in the Roll of Battell Abbey,and de Vals, de Wals, Walo, Walise, Walscin, are all present in the Domesday Book. The north western part of France was called by the Norsemen, Walland. The famous genealogist Bernard Burke’s book, The Landed Gentry, records one branch of this family: Wallace of Glassingall. He mentions one John Wallace of Glassingall in county Perth who was born in 1862. The lineage traces back to David Wallace, who married Janet Weirand has four children: John, Mary, Edith, and Winifrid Jane. Notes on individuals who bore arms for Wallace: 1) E.I.C.S., of London and Madras,  and 2) Wallace after Hope, [3 April 1844, the Hon.] James, of co. Northumberland (Baron Hopetoun) [2nd s. of the 4th Earl], . The surname is discussed at length in a book titled Pennsylvania Genealogies. 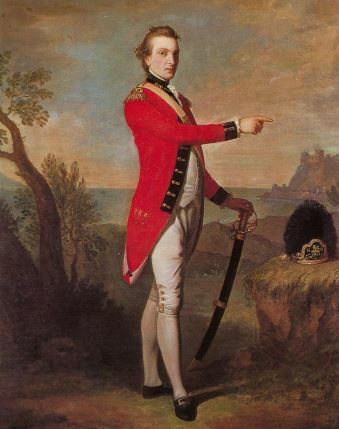 The first branch discussed is Wallace of Hanover. In this branch was 1) Robert Wallace (1712-1783) who came to Hanover, Lancaster county, PA from Londonderry Ireland in 1735, who was a coroner and married Mary Clyde and had the following issue: Moses, Isabel, Elizabeth, Ann-Maria, James, Andrew, Isabel, and Mary, 2) Moses Wallace (1741-1803) who lived in Paxtang in Dauphin county and served in the Sixth battalion of York county, married Jean Fulton and had the following children: Robert, Richard, Elizabeth, and Isabel, and 3) James Wallace (1751-1823), who was educated in Philadelphia and lived in Hanover and served under Captain William Brown during the American Revolution and later commanded a company of rangers and eventually became a brigadier general. 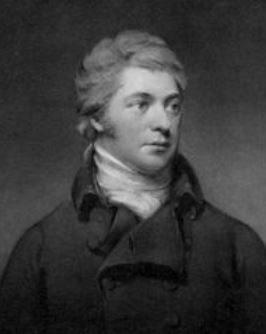 James was elected to the State Assembly and served from 1806-1810. He married Sarah Elder and they had the following children: Mary, John, and Elizabeth, 4) Isabel Wallace (1757-1828) who married Moses Gillmor in Doneal, Ireland and died in Harrisburg, PA, 5) Mary Wallace (1766-1822) who married Hugh Graham and had the following children: John, Robert, Ann, Mary, Hugh, James-Wallace, Moses, and William, 6) Isabel Wallace (1776-1826) who married Alexander Wills and had the following children: Rebecca, John, James, Alexander, Isaac, Jane Maria, Rebecca-Gibson, and Caroline, 7) John Wallace (1792-1843) who lived in Pennsylvania and Indiana who married Jane McEwen and had the following children: John, Sarah, Mary, Elizabeth, Ellen, and Caroline, 8) Elizabeth Wallace (1796-1842) who married Robert Clark and numerous other notables. Another section of the book is titled Wallace and Weir, and starts with a discussion of John Wallace, a native of Scotland, who fled to Ireland during the persecution of the Scottish Covenanters, who married Martha Hays and had several children, including Samuel Wallace (1730-1798) who came to American in 1756 and lived in Philadelphia, and Allen township in Cumberland county. 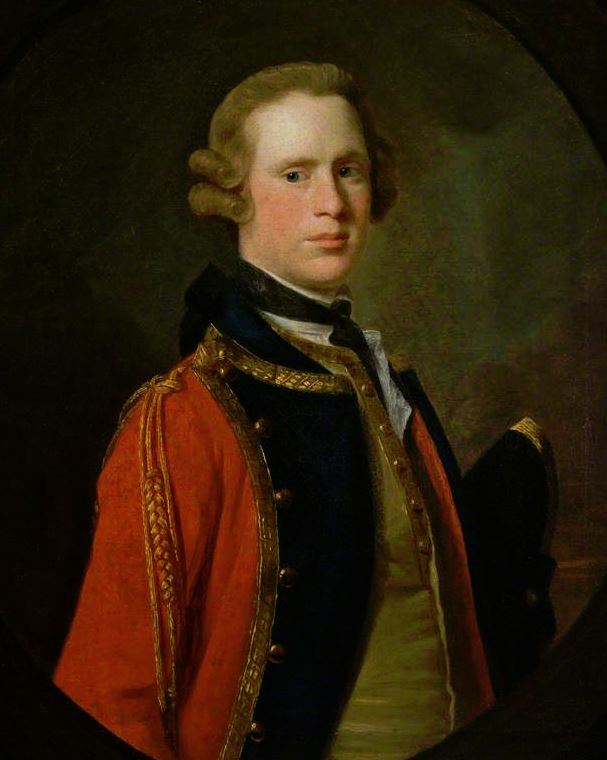 He served as a Captain during the American Revolution and married Margaret Patton who had the following issue: John, Mary, Sarah, Joseph, Samuel, Martha, William, Elizabeth and Margaret. Another section of the book is titled Wallace and Hoge, and begins with a discussion of William Hoge, a native of Scotland who came to Musselburg in 1682. Early immigrants to America bearing this surname were Halbert Wallace (1685 New Jersey), Andrew Wallace (Virginia 1702), and Alexander Wallace (Georgia 1733). The most famous person bearing this name was Sir William Wallace (1270-1305), a knight who was one of the primary leaders during the Wars of Scottish Independence. His father was Alan Wallace, who may be the person listed in the Ragman Rolls of 1296 AD in Ayrshire. You do not call a Scottish name Scotch, you call them Scots! Scotch is the Scottish drink. A Scottish person is called a Scot!